This rare portrait of the young Herbert Musgrove aged between 12 and 14 has survived. 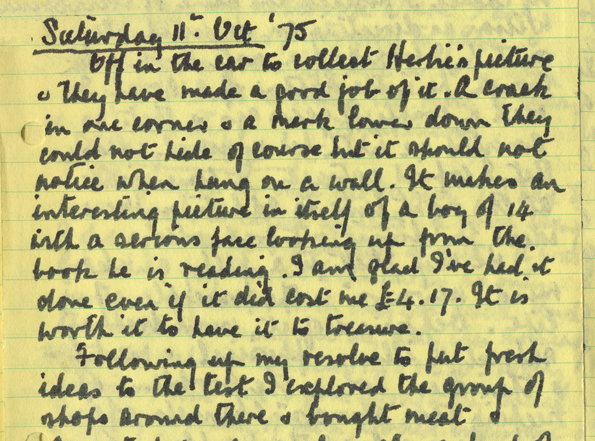 Herbert's wife Ivy had the picture reframed in 1975 and remarks on it in daily diary shown below. Click on the portrait for the larger image of when the picture was unframed. This reveals that Herbie's portrait had been cut down from a much larger picture which would have included other members of the Musgrove family.